TUNKHANNOCK, Pa. -- A supermarket employee brought two guns to work overnight Thursday and fatally shot three fellow employees before turning the gun on himself, Pennsylvania state police said. Troopers from the Tunkhannock barracks in northeastern Pennsylvania didn't immediately explain why 24-year-old Randy Stair, of Dallas, shot the others and himself in a Weis Market shortly before 1 a.m. Thursday. Stair's shift started when the store closed at 11 p.m. Police said he later took two pistol-grip shotguns from a duffel bag and began shooting. Stair fatally shot Terry Sterling, 63, of South Montrose; Victoria Brong, 26, of Factoryville; and Brian Hayes, 47, of Springville; before firing other random shots inside the store. Stair then shot himself in the head, police said. Troopers responding to the shooting found four bodies and the witness, who reportedly called Wyoming County 911 dispatchers. Police stressed that the store was closed to the public when the shooting occurred, and that nobody else was inside at the time. 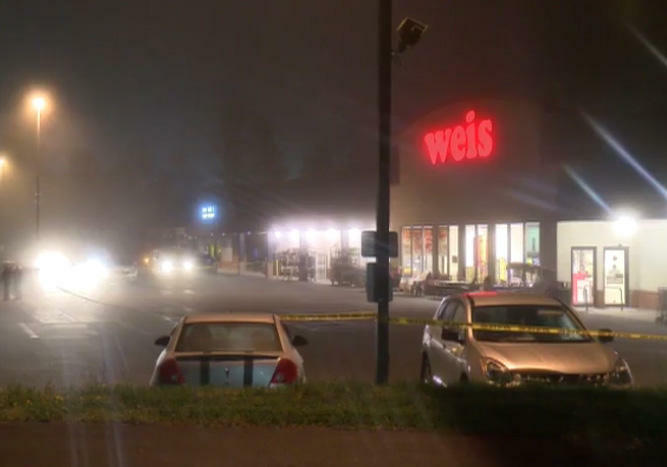 Online records indicate the store is open from 6 a.m. to 11 p.m.
"We are deeply saddened by the events of this morning," Weis spokesman Dennis Curtain said in a statement. "The safety of our associates, our customers, and the surrounding community is our top priority." Authorities called in a bomb squad to investigate the suspect's car in the parking lot but ruled the scene all clear, reports CBS affiliate WYOU. Troopers planned to release more information at a news conference later Thursday.